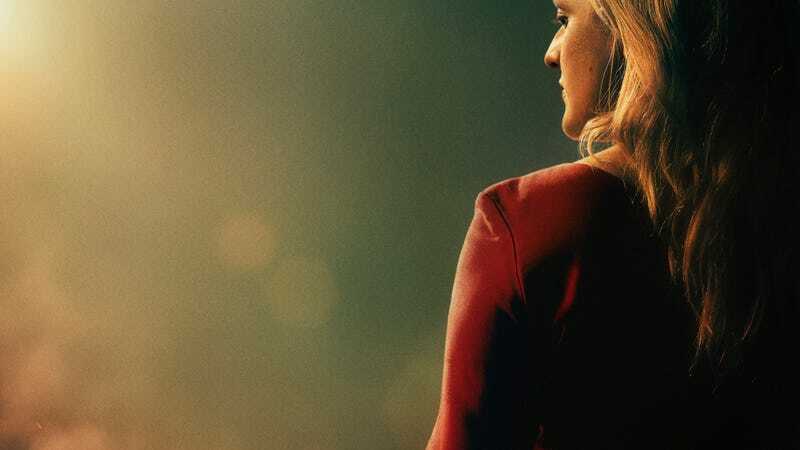 A new poster for The Handmaid’s Tale shows Elisabeth Moss’ Offred letting the past die, killing it if she has to. We may not know what’s in store for Offred, but it’s clear she and the other handmaids are ready for revolution in the second season of The Handmaid’s Tale. Hulu has released a new teaser for season two of The Handmaid’s Tale, not-so-coincidentally on International Women’s Day. At the end of last season, Offred had been taken away by still-unknown forces. She may be facing the gallows, or headed to see the Mayday resistance group. But either way, we know she’s not going down without a fight—especially given how the teaser’s full of slowly burning red cloaks. This girl is on fire, indeed. The trailer also gives us a hint at the fates of some of the other characters—notably Janine, who looks to be doing manual labor in the Colonies, which we’ll be visiting next season. And fan-favorite Ofglen/Emily is seen in a flashback, which means we’ll be getting a look at her story before the rise of Gilead. The Handmaid’s Tale returns April 25. Under Her Eye. A full look at the new poster which features Offred burning her wings.